The talk of the town is that WeChat Pay is finally launching in Malaysia this month. Without any official announcement, the local wallet in MYR has been quietly made available to Malaysia. It seems like this has been rolled out to some local WeChat users (not all according to our check), could it be in beta mode? You can try it out yourself by following steps below. Before that, let's start with a quick introduction to WeChat Pay, especially for those who aren't familiar with China and WeChat. If you have ever been to China in recent years, you get to experience the cashless society with WeChat Pay and Alipay being the duopoly there. However, it is not easily available to foreigners, as you need a local China bank account to top-up your WeChat Pay balance. A quick trick is to get your friend with Renminbi balance to transfer some funds to you and voila! You can then use it to pay everywhere you want, ranging from hawker stalls, kiosks, mom and pop stores, retail outlets to many more. Just watch the video below on our own WeChat Pay experience in China earlier this year. You might be wondering why Malaysia? First of all, did you know that Malaysia has the second largest overseas Chinese population in the world after Thailand? If we are to consider Chinese population which is closer to China in terms of language and culture, Malaysia easily has the most in the world out of China. Tencent (the parent company of WeChat) has also claimed that there are 20 million WeChat users in Malaysia,according to S.Y. Lau, Senior Vice President of Tencent. Therefore, it makes perfect sense for Tencent to launch WeChat Pay first in Malaysia. By looking at the timing of its imminent launch here, we wouldn't be surprised if they replicate the WeChat red packet a.k.a. hongbao (微信红包) formula here for Hari Raya - green packet perhaps? It was one of the key stimulators of cashless society in China back then. Without further delay, let's find out how it works here! How to enable WeChat Pay in Malaysia? Just follow the step-by-step guide below, especially if you already have RMB balance in your WeChat wallet. 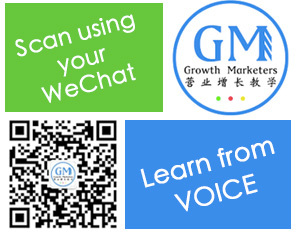 Bear in mind that, this is not made available to every WeChat users yet according to our findings. You will be prompted with "other regions enabled"
WeChat Pay Malaysia (with RM) is activated! 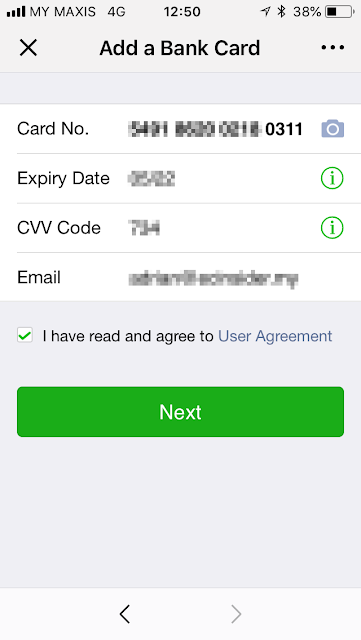 How to top up WeChat balance in Malaysia? From our test and findings, it seems that we can only top up with a debit card now, other top-up methods are not available yet at the time of writing. What is WeChat Quick Pay? If you haven't realized, China is a "QR code country" in which we haven't seen similar adaption here yet. Quick Pay is one of the QR code features of WeChat, to enable merchants to scan your QR code on transactions. 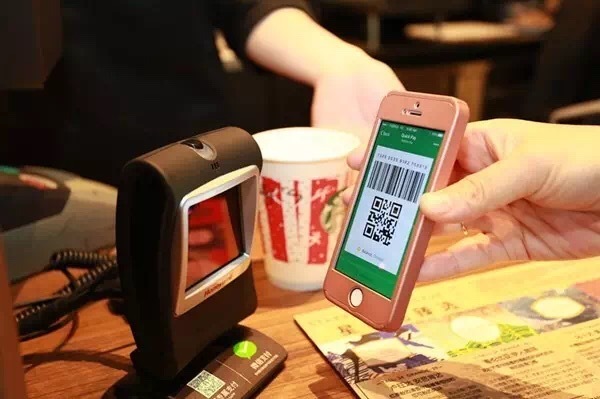 From our experience in China, it is usually the larger merchants or retailers who scan your QR code with a scanner that linked to their POS system. It is the other way round for smaller merchants - you scan their QR code instead. How to withdraw your WeChat Pay balance in Malaysia? Unlike the controversy of our very own Touch 'n Go, it is a pleasant surprise to find out that we can withdraw WeChat Pay balance here without much fuss, ironically even before its official launch! We tested balance withdrawal to a Maybank account and it works, you can withdraw your WeChat balance to 29 banks at the time of writing. We tested RM1 withdrawal and it works! Which merchants accept WeChat Pay in Malaysia now? We are not expecting many merchant partners before the official rollout, but you can top up your mobile prepaid via WeChat Pay at the moment. Surprisingly, you can also buy bus tickets via WeChat Pay and select the seats within the app too, this is something cool! You can buy bus tickets too! You can select bus seats within the app, wow! What about you? Have you tested it out? Do share with us your experience and feedback in the comment box below.